Remarks: State office has records since August 1936. Additional copies of the same record ordered at the same time are $6.00 each. Personal check or money order should be made payable to State Board of Health. To verify current fees, the telephone number is (334) 206-5418. This will be a recorded message. 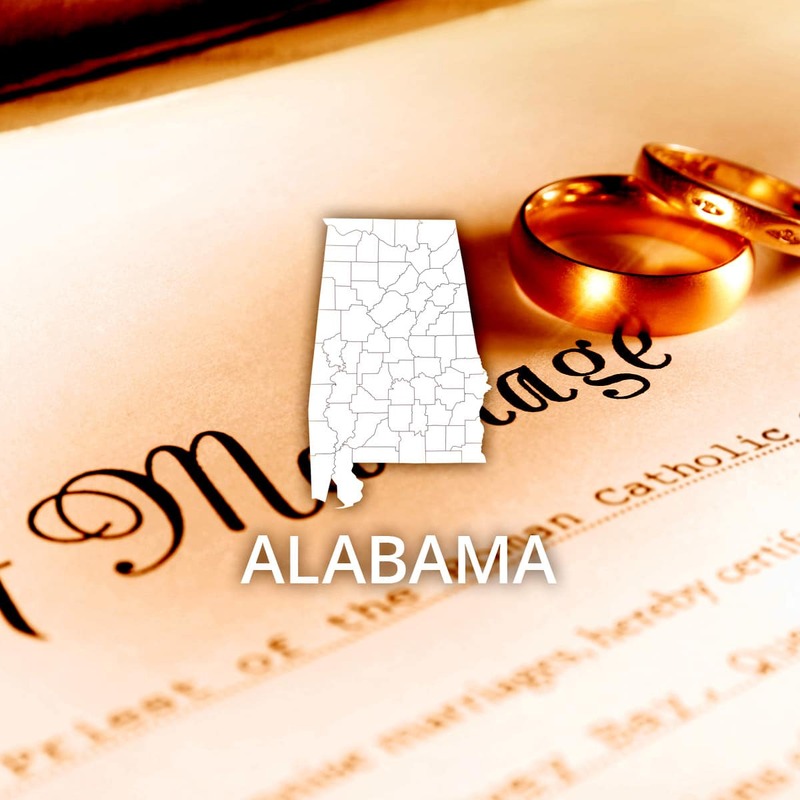 Information on how to obtain certified copies is also available via the Internet at Alabama Department of Public Health, Vital Records website.A signature of the applicant is required. Event: Marriage (County) Cost of copy: Varies Address: See remarks Remarks: For marriages prior to August 1936, contact Probate Judge in county where license was issued.